It was my mum’s 60th birthday over the Easter weekend, and we had a wonderful time with the glorious weather, lots of food, and a surprise visit from my brother and his girlfriend who made a last minute decision to come up from Manchester and attempt to give Mum a heart attack by leaping out unexpectedly as she arrived at our house on Easter Sunday. Joe was thrilled and full of beans to have so many people around to keep him entertained, and he was endlessly endearing and affectionate for the couple of days of excitement (aside from a disagreement with Aunty Emma about whose go it was with the football). 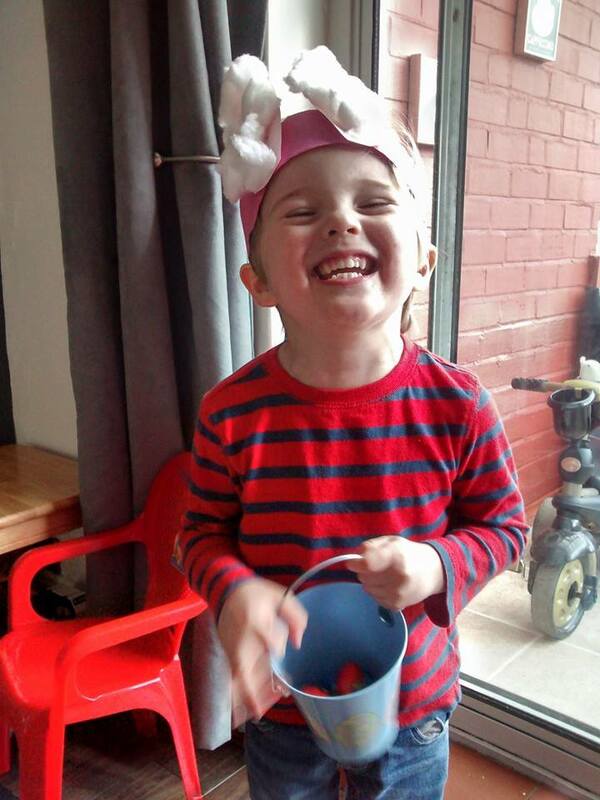 With an Easter Egg Hunt on Sunday, followed by a day out involving a ride on a steam train on Monday, he was a very happy bunny. And he was, as always, consistently hilarious. Surely no-one could be so old. Happy long way away birthday Grandma. ‘Nurturing New Families’: are doulas the Prince Charming to our Cinderella service?